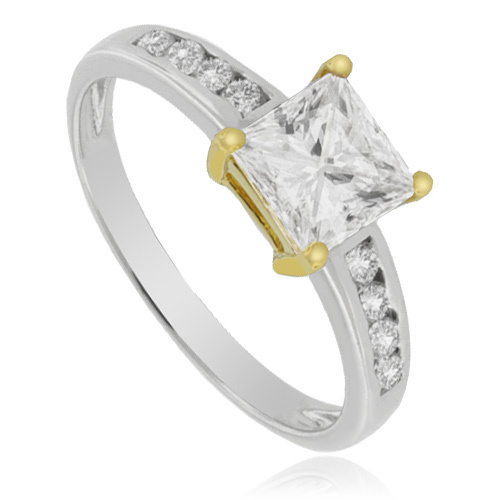 Now you can show your love for that person with this beautiful engagement ring. Decorated with high quality silver and embellished with synthetic diamonds, this piece is one of the most fancy and classy rings. Once you look into his stunning central stone (6 mm x 6 mm ) you´re gonna be sure that it's the perfect ring for the one you love.